At LCI we Laser Engrave Metal Stainless Steel Aluminum Brass and other ferrous substrates. 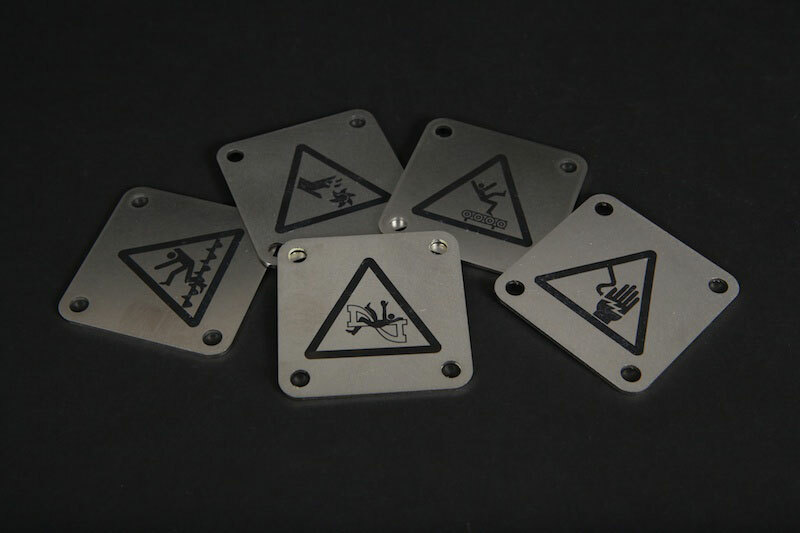 This is an example of Laser Engraved Stainless Steel Tags which we laser cut to just about any contour. Then we laser engrave them turning the surface black. Whether your application is industrial parts which require sequential serial numbers or artistic layouts such as logos and other graphics, LCI is equipped to get the job done efficiently and cost effective. 3. What information do I need for Laser Engrave Metal Stainless Steel Aluminum Brass? A: Type of material you need cut and or engraved, thickness and qty of parts. If you don’t know any of this info, we can guide you. A: Yes! We can make a production sample before large production. 6: Will the image scratch off of Laser Engraved Stainless Steel Tags? A: No. Our lasers etch into the surface of the metal leaving a sharp and hi-res permanent impression.